Soi 60 Thai Restaurant located at The Quayside, Robertson Quay is a contemporary Thai restaurant and bar offering an eclectic mix of traditional and modern Thai dishes along the Singapore river. The kitchen is helmed by Chef Nam Pongpanich, a 28 years old Bangkok native graduated from the Culinary Institute of America and worked under Daniel Boulud in New Yoark. 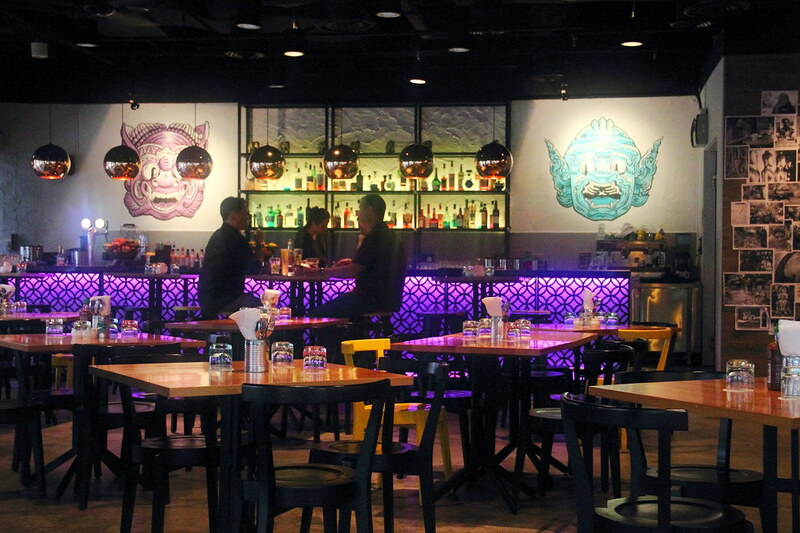 Soi 60 Thai also has a cool bar offering a whole range of beverages from alcoholic drinks, mocktails to cocktails. I tried the Raspberry Ginger Beer ($8) which is super refreshing and comes with fresh plup of the raspberry in every sip. Dinner at Soi 60 Thai started with the Fresh Spring Rolls ($10) that comes with Northern Thai Sausage and Thai herbs wrapped with rice paper Dipped the spring rolls with the peanut hoisin sauce to get an array of textures and flavours. 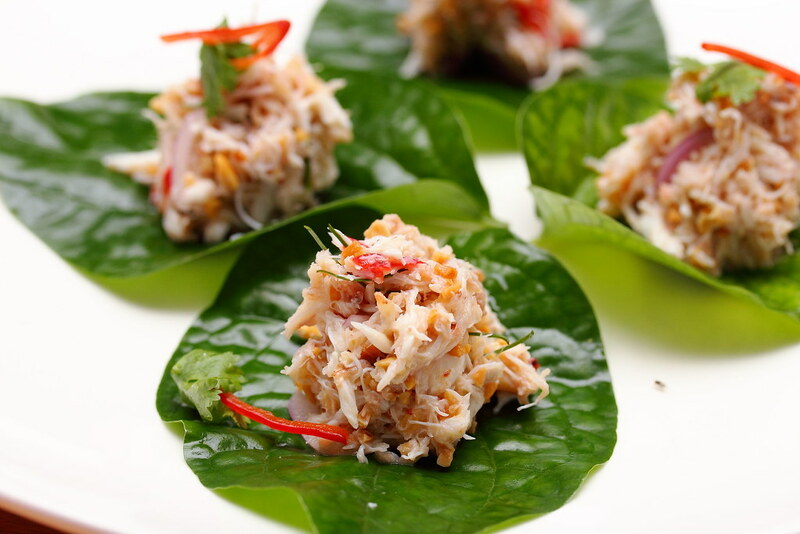 Pop these Crab Betel Leaves ($14) into the mouth to get a burst of rich and beautiful flavours of the sea and herbs. 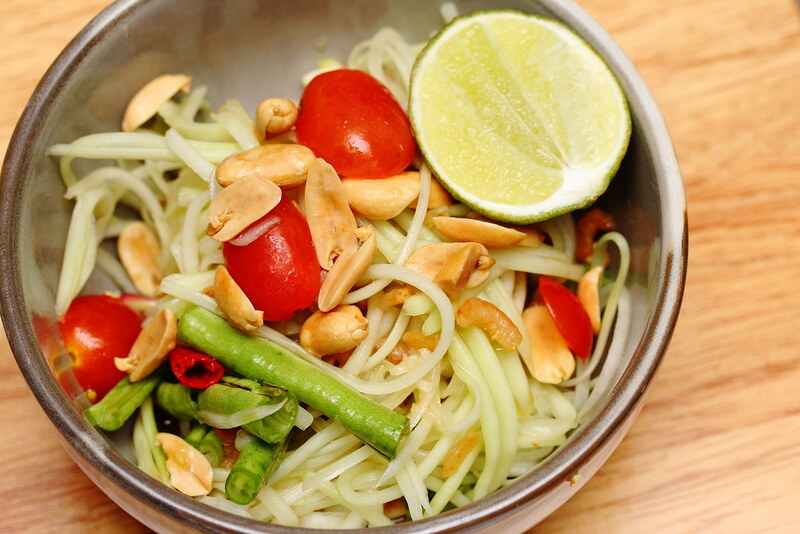 The picked fresh crab are tossed in concoction of coconut milk and peanuts. 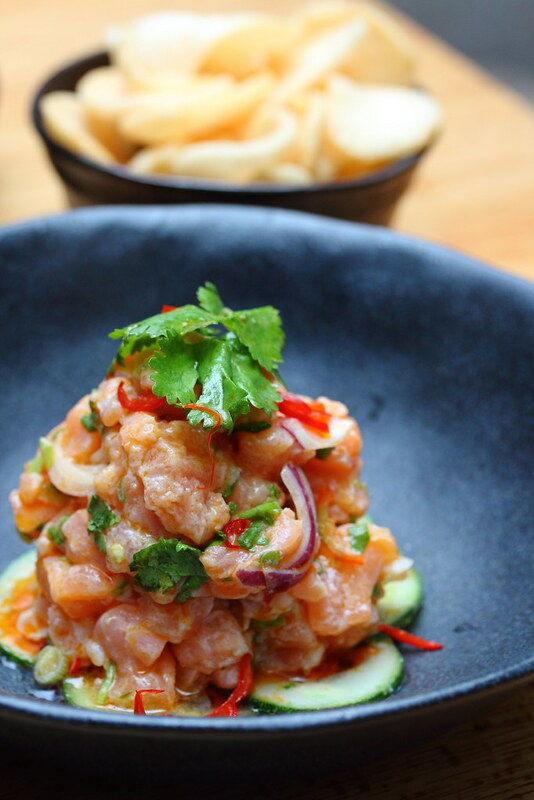 The Salmon Tartare ($14) is another starter that will delight your palate with fresh salmon, lime, herbs, chilli and cucumber. You can also pair the salmon and the prawn crackers. Love the change from the normal beef tartare. 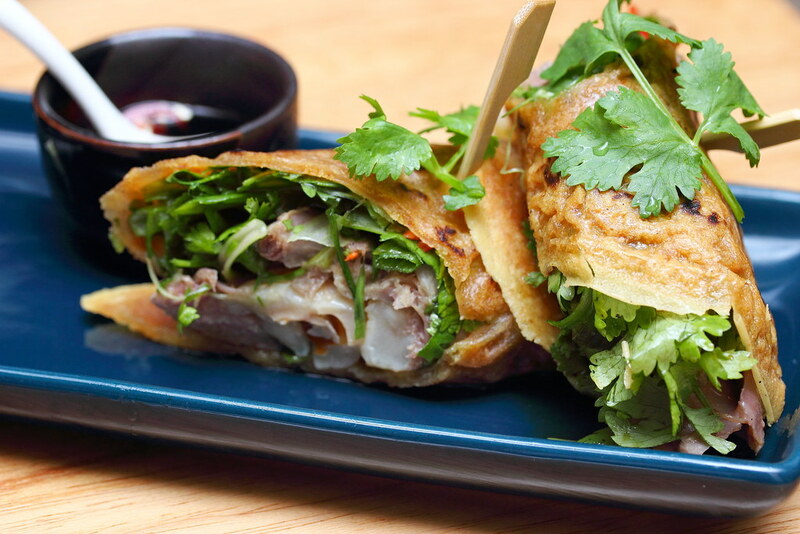 The Crispy Duck Pancake ($12) can be a meal for itself. The crispy duck is wrapped with Thai herbs and lychee around a thin sheet of pancake, served with black vinegar reduction. I like the addition of the lychee to cut through the greasiness. The Papaya Salad ($14) is the most authentic Thai dish I have tasted so far for my dining experience at Soi 60 Thai. The familiar Thai flavours of sweet, sour and spicy returned to my memory. Moving on to the mains or big plates, the Iberico Pork ($26) with Thai spiced crust is very beautifully flavoured and tender. 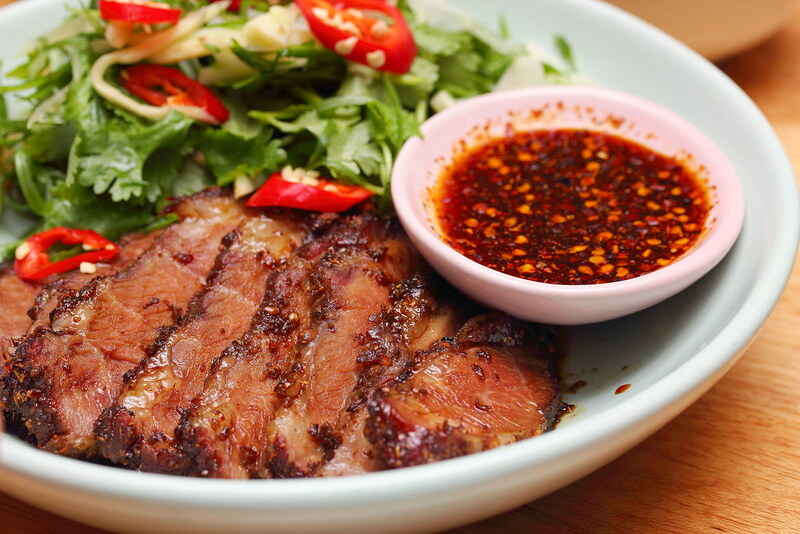 The pickled ginger and young garlic salad on the side gives the pork a nice balance so it won't be too heavy on the palate. In fact giving it a more elegant and refine enjoyment. 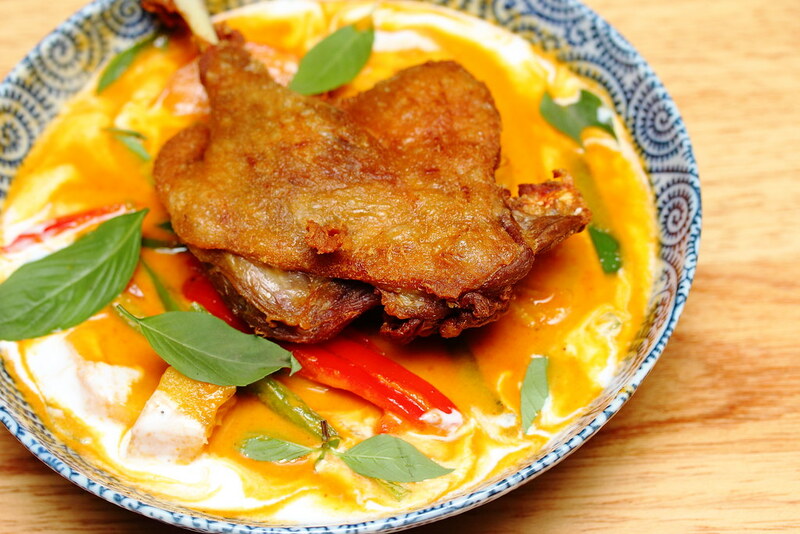 This modern interpretation of Crispy Duck Red Curry ($22) will wow you with the servicing portion and presentation. The dish on it is own is interesting, unique and flavourful with a whole duck leg confit. However I am caught in the tussle between tradition and contemporary, having difficulty to put a judgement to it. I like the dish but not the dish as a whole. If I want to have red curry with a plate of rice, this feels weird. If I want to have a duck confit, this will satisfy me but probably with lesser sauce so that the duck does not get drown. 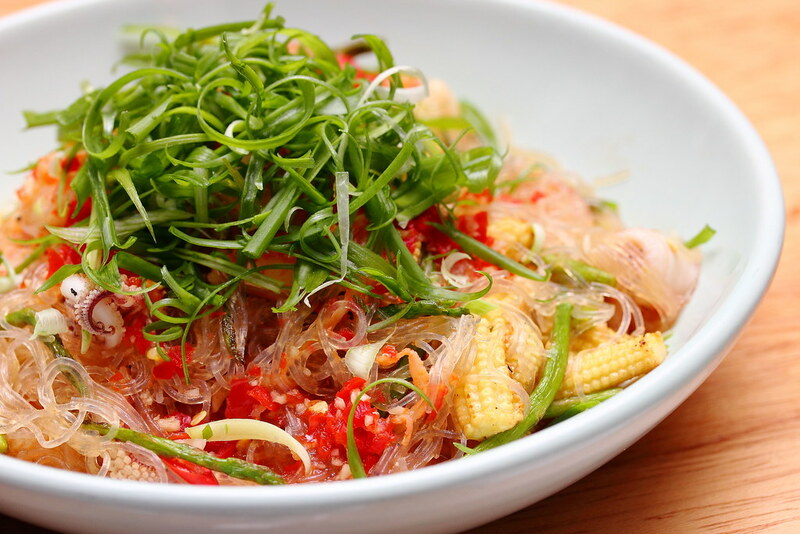 For a medley of spicy and zest, the Mixed Seafood Glass Noodles ($24) will its slurping goodness, topped with scallop, prawn, squid, chilli and lime leaves will probably make you break into a sweat. Unfortunately the dish was a bit heavy on the salt during my visit. 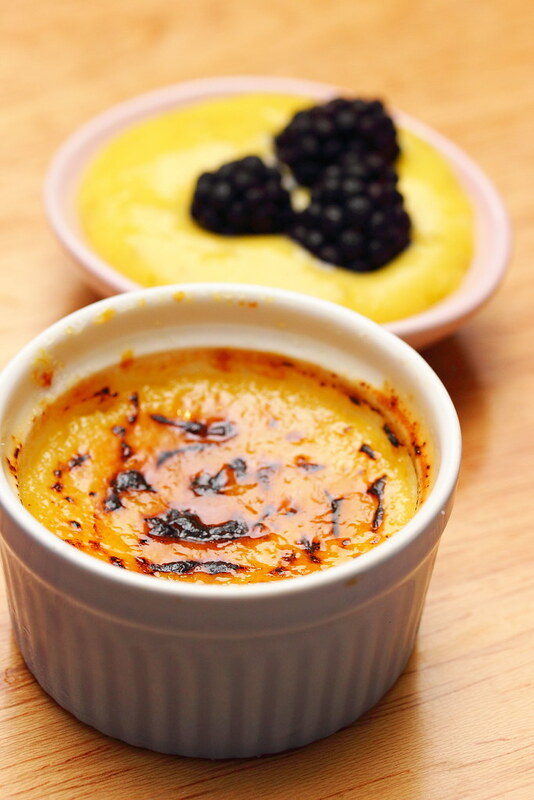 The Ginger Creme Brulee ($10) served with lime curd and black berries definitely come across too strong on the ginger flavour. 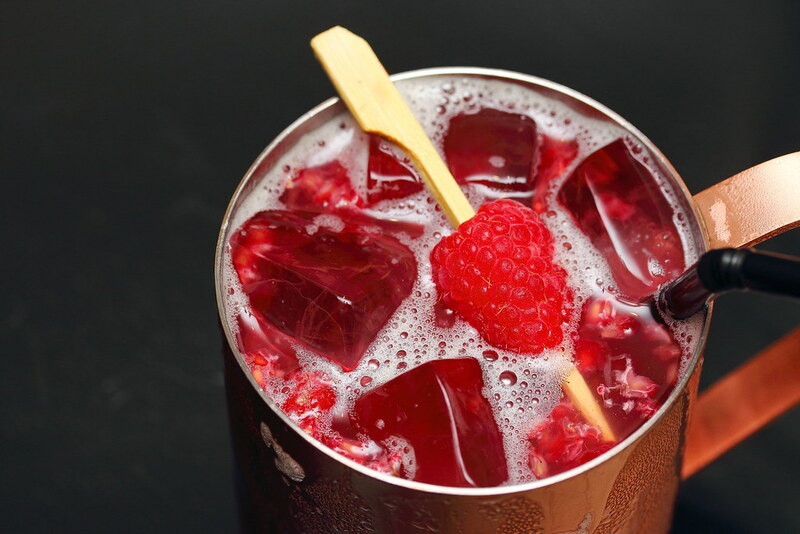 The thoughtfulness of the lime curd and black berries help to reduce the sharpness of the ginger. 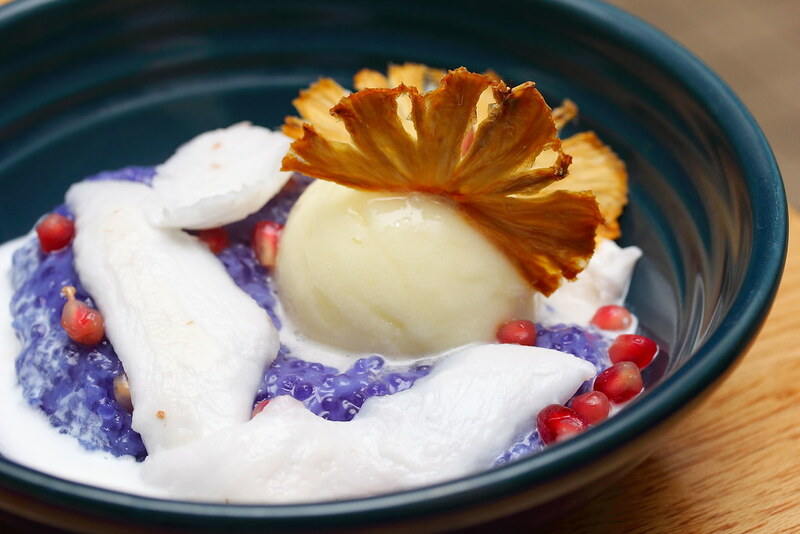 The colourful presentation of the Butterfly Pea Tapioca ($1) is rather acquire with a complex, multi-layer textures and flavours from the young coconut, tapioca, pineapple sorbet and Mekhong rum. I am not a fan of rum in my dessert so this did not manage to win over my palate. The Black Sticky Rice ($10) is one of my favourite dessert at Soi 60 Thai. 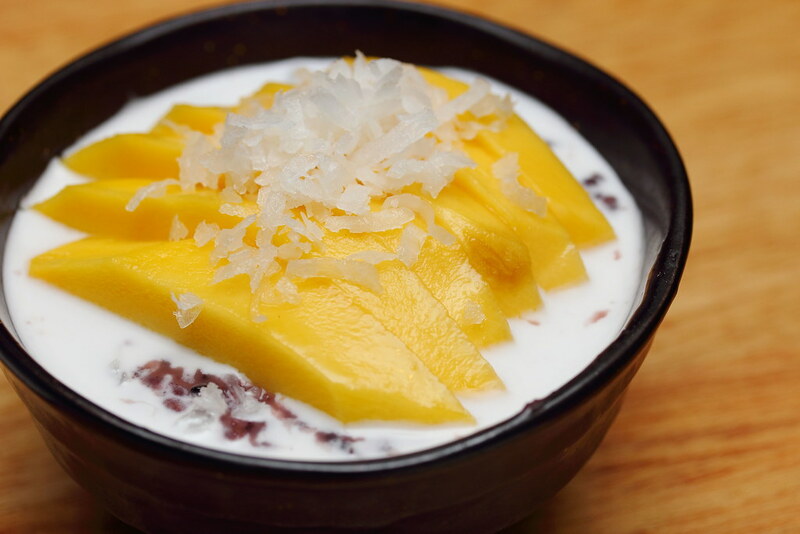 A perfect ending to the modern Thai cuisine with sticky black glutinous rice, fresh mango and coconut cream. 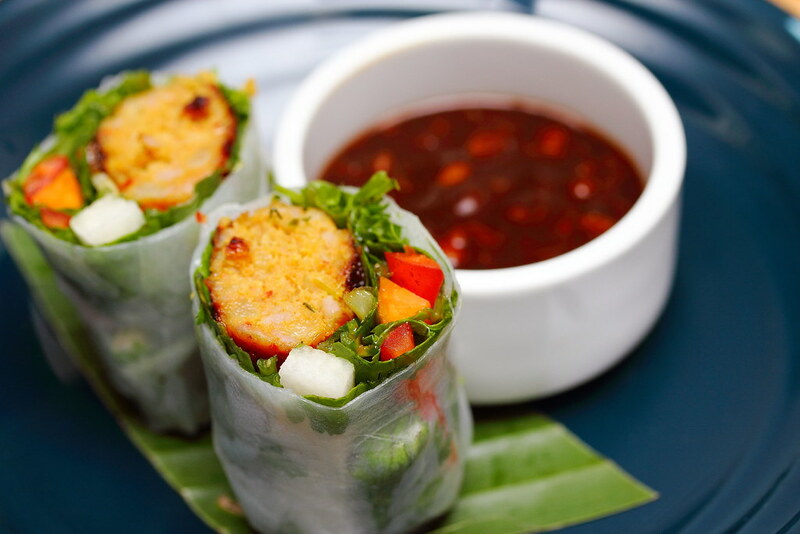 I have enjoyed the whole dining experience of Chef Nam's modern Thai cuisine. There are many Thai restaurant in Singapore offering authentic Thai cuisine, but not modern Thai. The exact word that I said after leaving Soi 60 Thai, I felt that I have just dine in a Thai Restaurant in Melbourne. This summarized the whole ambience and food I had at Soi 60 Thai.